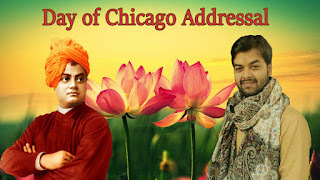 Today on the beautiful memorial day of Swami Vivekananda's first address in Chicago, which made him whom we know him as; let me share with you in brief about his journey from a wandering monk who was in search of his path to deliver to the world and yet he was not finding answers to his unanswered questions related to his divine work. It was the time when Ramakrishna, Swami Vivekananda's Guru passed away in August 1886, He spent many years in his spiritual practice at one of the monastery established under Ramakrishna Mission. During his initial years many a times he tried to live in solitude, to go deep into forests, to live at distant places in Himalayas for silent hours of meditation but very often he had to return back because of either some of his fellow monk's sickness or because of the death of a devotee; but such sequences brought him back to planes and this made him realized that he is not meant for a life of a recluse he is destined to deliver the divine work assigned to him by his master, Sri Ramakrishna. Before his master passed away, he told him once the "he would have to do "Mother's work", to "teach mankind", and "to be like a banyan tree", giving shelter to the tired and weary travelers." This was the time when he left his fellow monks and had an urge to wander alone all over India. He wandered from place to place, north to south; understanding the life of the people from all sections of society. He was deeply moved by his experience that he gathered from his journey. He wept to see the stagnant life of the Indian masses crushed down by ignorance and poverty, and was disturbed by the spell of materialistic ideas he noticed among the educated, who blindly imitated the glamour of the west. He understood that spirituality was at a low in India and he though India should not left away from this path of grand spiritual glory. Few enlightened people suggested him to go to west with his teachings which would be easily understood by the people and shall be properly appreciated. 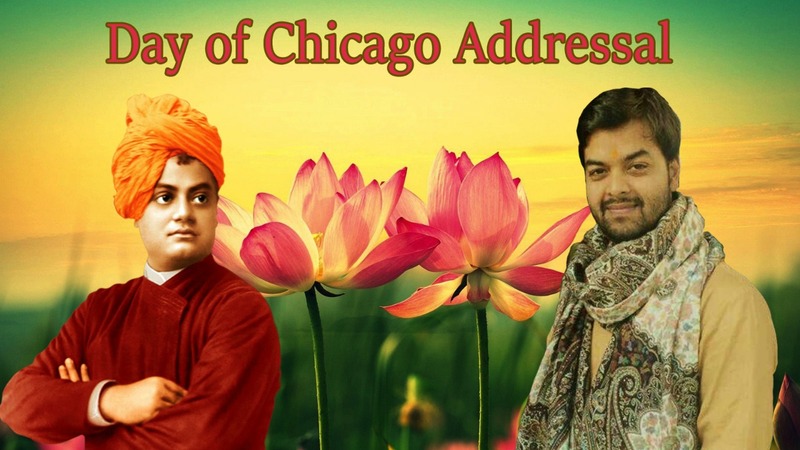 Initially, he did not pay much attention to it but later when he go to know about the Parliament of Religions to be held in Chicago in 1893, then he expressed his willingness to participate in it. When during his journey across India, he reached Kanyakumari, he was not sure whether to attend the Parliamentary session or not. Shortly, he had a symbolic dream which convinced him to move ahead with his decision. He saw the figure of his master walking from the seashore into the ocean and asking him to follow. And, all his doubts were gone. He was firm to go now. His young disciples collected funds from door to door, from the kings at that time and he sailed for America from Mumbai. His reaching at the Parliament was also an uphill task as he arrived Chicago in July and the he received the news that Parliament of Religions was postponed to September but this was not the end. Added to this, he was informed that the registrations of the speakers were over and only the speakers with credentials from bona fide organization were allowed to speak at the Parliament. And, he did not fall into any of the criteria. This did not shake his faith and he hailed through all the difficulties on his way to the day of his address. He did he not went through. From sleeping on the streets to begging food to taking shelter under trees but as the days went by, the dots began to connect one after the other and he reached Parliament for his first address on 11th Sept 1893, where he roared like a lion and the whole America & the world lionized him as the greatest figure and the best speaker of the Parliament because of his soul-stirring speeches where he pointed out man's true goal towards divinity, holiness, purity and charity. I hope this will give power to your will-power, to your thoughts, to your actions and it will strengthen your faith too on the divine order that man has to accomplish during his lifetime.